Legal setbacks in the US have forced the tobacco industry to concede that its products are harmful, and that for decades cigarette producers deliberately misled the public about the health effects of smoking. But these "corrective statements" do not mean that the war with the industry is over. We all know how bad tobacco is, that it kills millions of people every year, and that it harms many more. We also know that tobacco companies have consistently lied about how much damage their products cause. But now, even Big Tobacco has been forced to state the facts publicly. After losing a string of appeals following a 2006 US federal court ruling, four companies have been forced to reveal the truth behind years of deceptive marketing, by publishing advertisements containing “corrective statements” in US newspapers and on television. These public statements acknowledge that the companies – Philip Morris USA, RJ Reynolds Tobacco, Lorillard, and Altria – knew the damage their products cause but kept selling them anyway. And it is not just courts that are taking action against the tobacco industry. The recent decision by French bank BNP Paribas to stop financing and investing in tobacco companies – including producers, wholesalers, and traders – is just the latest sign that public health is finally being put ahead of commercial interests. Still, we must not be lulled into believing that these overdue confessions reflect an industry undergoing altruistic catharsis. They resulted from the combined pressure of the US justice system, tobacco-control advocates, and the sheer weight of evidence against the industry’s misleading marketing of “light” and “mild” tobacco products. They should be regarded as a warning: The industry couldn’t be trusted in the past, and it shouldn’t be trusted to do the right thing in the future. Even today, the same tobacco companies are marketing new products that they claim are less harmful – like “heat-not-burn” devices, which vaporize tobacco to produce a nicotine-containing aerosol – and funding front groups purporting to work for a smoke-free world. The world has witnessed similar tactics elsewhere, from Uruguay to Australia, where tobacco companies launch costly legal challenges against legitimate regulation of their deadly products. Despite such losses, it will no doubt continue looking for new ways to oppose tobacco restrictions. To be sure, the court-ordered airing of “corrective statements” in American media does represent a victory for truth. It brings closure to an important US Justice Department lawsuit, filed in 1999 under the Racketeer Influenced and Corrupt Organizations Act, and then left partly unresolved, until October 2017, during a decade of appeals and legal wrangling following the 2006 decision. 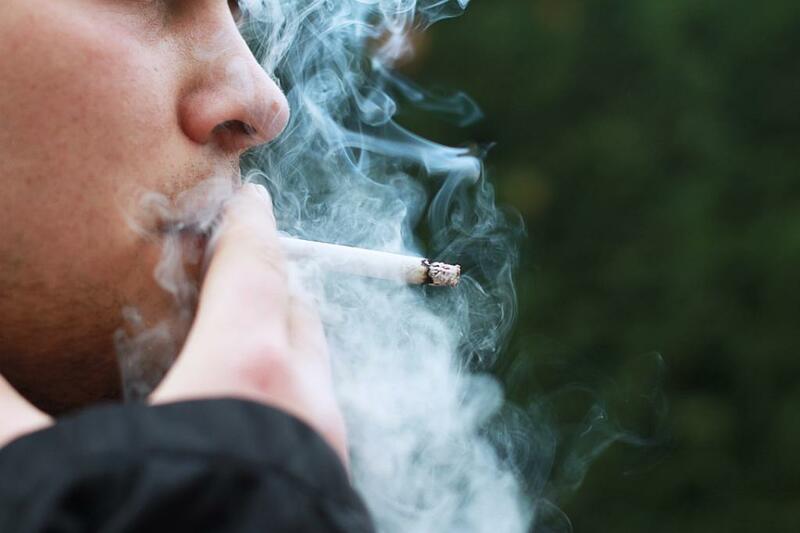 Even cigarette manufacturers admit that their products contribute to 1,200 US deaths each day. Around the world, tobacco use kills more than seven million people annually. Enough is enough; at this critical moment, we must not let the momentum slip. Governments and health organizations like ours are at war with the tobacco industry, and we will continue fighting until we beat Big Tobacco. If national leaders, health ministers, and finance chiefs ever wondered how far they should go to regulate tobacco products, Big Tobacco’s admissions, together with investors’ second thoughts, have provided an answer: as far as necessary. Governments face a moral and legal imperative to use the strongest possible measures to protect their citizens from tobacco. One way forward would be for more governments to implement commitments enshrined in the World Health Organization’s Framework Convention on Tobacco Control. The WHO FCTC provides guidelines on topics such as tobacco taxation, public awareness and education, and package warnings. These measures have helped save millions of lives in the last decade, not to mention hundreds of billions of dollars in health costs. But more can be done, which is why we are calling on governments around the world to strengthen implementation of the WHO FCTC by accelerating action on the “MPOWER” tobacco control policies – measures intended to strengthen country-level implementation of the WHO FCTC. Together, these frameworks represent the strongest defense countries have against the tobacco industry. Moreover, governments should endorse the Protocol to Eliminate the Illicit Trade in Tobacco Products, which aims to prevent illicit trade, such as smuggling. While 33 countries and the European Union have signed the protocol, it needs the support of seven more governments before it can enter into force. And, finally, looking ahead to the UN’s High-level Meeting on Non-communicable Diseases in 2018, government leaders must be prepared to demonstrate their commitment to protecting people from heart and lung disease, cancer, and diabetes, by supporting stronger tobacco controls. With its recent admissions, Big Tobacco has been forced to reveal its true nature. However reluctantly, these companies have called on all of us to reject their products. We think it is time to take them up on the offer. The commentary was first published in the official website of the World Health Organization. Smoking behavior is started at the begin from humans. Cancer and spreading is detected at half of 20 century. There are more reasons to cancer and spread . Air pollution, pesticide used foods, chemical medicines(modern medicines).CCTV cameras,(cctv cameras are highly gamma rays producing centres. Now every knokk and corner ,including toilets has cctvs, and wifi. Today all time all are using Wi - Fi at our world. Try to think single straw revelution to agriculture.